Xylene is a widely used solvent and industrial chemical, but it is also considered to be a volatile organic compound (VOC) pollutant. Meanwhile, non-thermal plasma (NTP) is a potential method for remediating VOC contaminants, especially aromatic hydrocarbons. During NTP degradation of xylene, the different oxidation mechanisms of three isomers, p-xylene, o-xylene and m-xylene, have attracted lots of attention but not been studied at the molecular level. 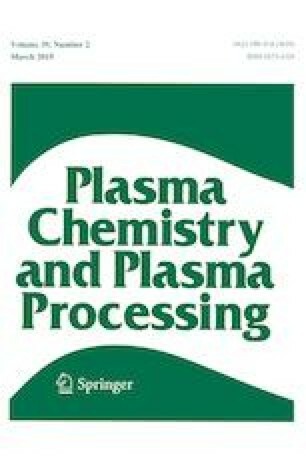 In this study, the individual degradation rates of xylene isomers in a NTP system are measured. The results show the oxidation degradation rates have the following order: o-xylene > p-xylene ≈ m-xylene. Molecular dynamics simulations with an applied external electric field were adopted to examine the oxidation process of xylene isomers, as well. The oxidation rates from the simulations were calculated, the order of which is in a good agreement with the experimental results. The oxidation pathways of xylene isomers were analyzed more thoroughly to explain the rate differences. The external electrical field is found to have two effects: one is to speed up the oxidation rate of xylene isomers overall, and the other is to alter the oxidation pathways to increase the probability of the faster ring cleavage pathways of o-xylene. The online version of this article ( https://doi.org/10.1007/s11090-019-09986-5) contains supplementary material, which is available to authorized users. The authors would like to thank the National Key Research and Development Program of China (Grant No. 2018YFC0213806) and the National Natural Science Foundation of China (Grant Nos. 21676245 and 51750110495) for financial support.